Welcome to the What’s My Pump? Product Identifier from Reliable Equipment Sales. This works for Wilden® pumps and many other pump manufacturers and types of pumps. We’ll figure out what you need and help identify your pump – just click and fill in the blanks for these quick questions. 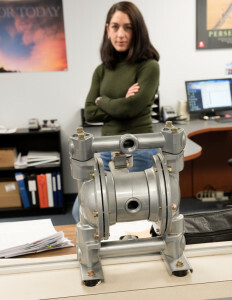 Or, email pictures of your pump or pump parts to sales at reliable-equipment.com at any time. Do you know which pump or pump part you need?